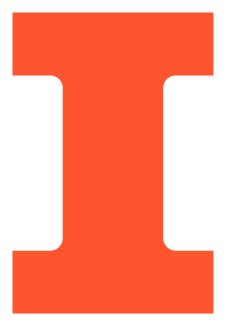 The University of Illinois provides financial aid from a variety of federal, state, University, and private resources. The Office of Student Financial Aid has a comprehensive overview of the types of financial aid that are awarded. In order to maximize opportunities to receive financial aid, students should follow OSFA's application process. Each year, CS @ ILLINOIS presents thousands of dollars in fellowships, scholarships, and awards to outstanding students in recognition of their potential, achievements, and leadership contributions. These are made possible by generous donations from alumni, friends, and corporate partners. To learn more about these awards and the donors who make them possible, and to see listings of our awards winners, please visit Undergraduate Scholarships & Awards and Graduate Fellowships & Awards. Applicants to CS @ ILLINOIS are automatically considered for financial aid when they submit their application for admission; an additional application form is not required for incoming students to be considered for most of our aid. This includes both need- and merit-based aid. Continuing CS students have opportunities throughout the year to apply for a variety of scholarships, fellowships, and awards, both from the department and from external funding agents. Information about opportunities is posted to the department's wiki on a regular basis. Note that applications for most of the department's endowed awards for continuing students are typically solicited during the spring semester. Additional campus resources include the National and International Scholarship Program, the College of Engineering's Scholarships page, the Graduate College's Proposal Advising service (for graduate students), and the Graduate College's Fellowship Finder. Applicants to CS @ ILLINOIS graduate programs are automatically considered for fellowships from the department, College of Engineering, and Graduate College based on the strength of their application materials. Fellowship offers are made after admissions offers and are typically awarded either as (1) a supplement to a research or teaching assistantship, or (2) a full fellowship. In either case, students receive a tuition waiver. Incoming graduate students who are awarded a full fellowship are encouraged to take an independent study course (CS 597) to help them connect with a research group and advisor their first year. Our Ph.D. students, with very few exceptions, are funded by a research or a teaching assistantship. These provide a stipend and a full tuition waiver. Many of our M.S. (with thesis) students are also funded. To be eligible for all forms of financial aid awarded by CS @ ILLINOIS, international students who have applied to our Ph.D. or M.S. (with thesis) programs should submit a TOEFL iBT score (Speaking section only). More information about this is here.